Let’s face it, we live in an era where the world is saturated with images and nearly everyone has access to a camera. It’s becoming increasingly difficult to create images with a fresh take that will stand apart, especially in the landscape and cityscape realm. Apart from planning for ideal conditions and lighting, here are some fun techniques we can utilize to maximize the look of any location. 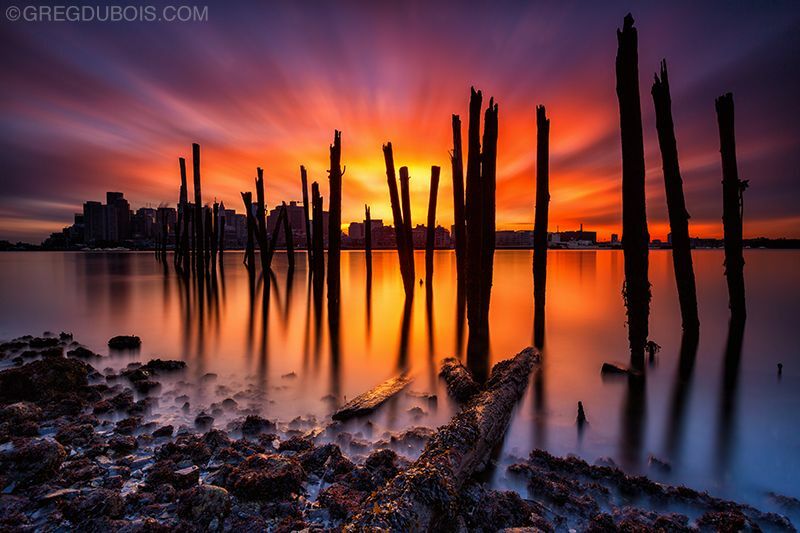 In my opinion ND filters are the cornerstone of taking successful landscape and cityscape images. They allow for total control over the light in the scene, so they open up a world of possibilities in not only executing an image, but also envisioning it. You can achieve a wide variety of dramatic and surreal effects naturally, like I did in the image below from the rugged shore of East Boston. I used 3 ND filters to control the light entering the lens. 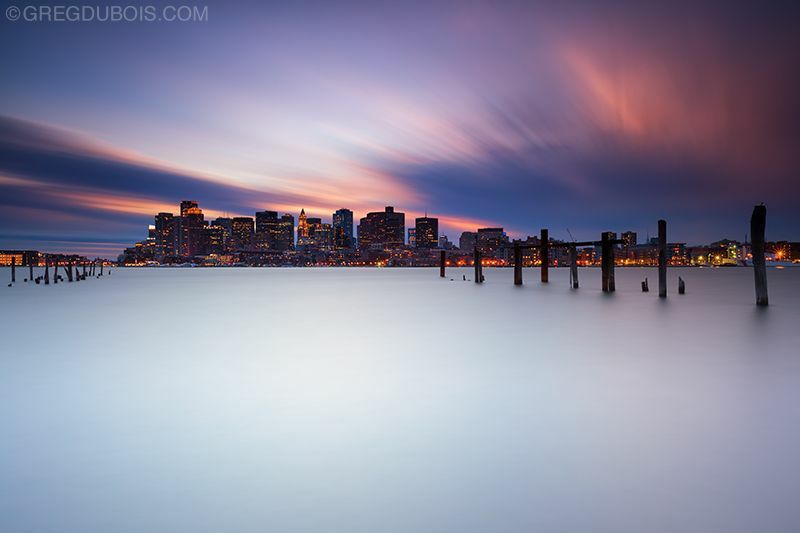 First I pulled a 3-stop graduated filter down over the sky, blending it into the water at the base of the skyline. I then pulled a 2-stop graduated filter down over both the sky and water, blending it into the foreground. This allowed me to not only balance the exposure of the sky and water evenly, but to also expose what was originally a pitch black foreground. I knocked back the light for the entire image using a 10-stop filter for a 310 sec exposure length. 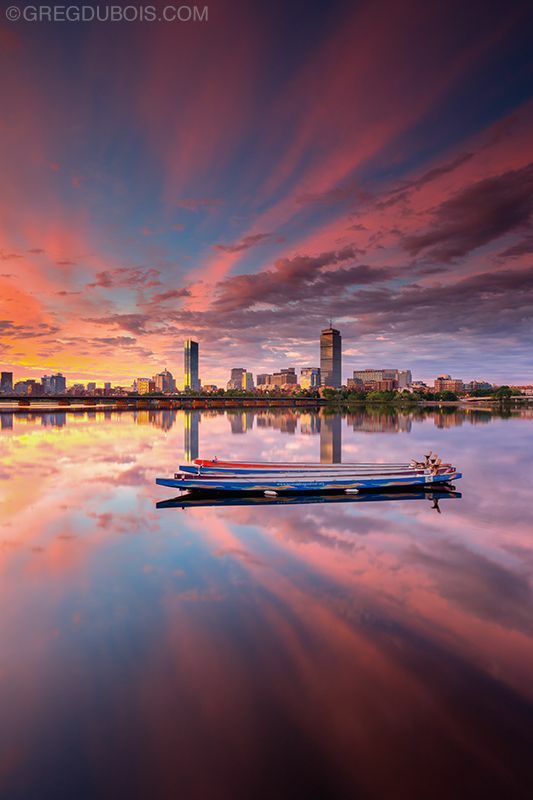 The exposure length accentuated the calm harbor and enhanced the reflection while capturing the movement of the clouds in the sky. You don’t have to use that many ND filters to get great images though. Sometimes a simple 10-stop is all you need with the right lighting. 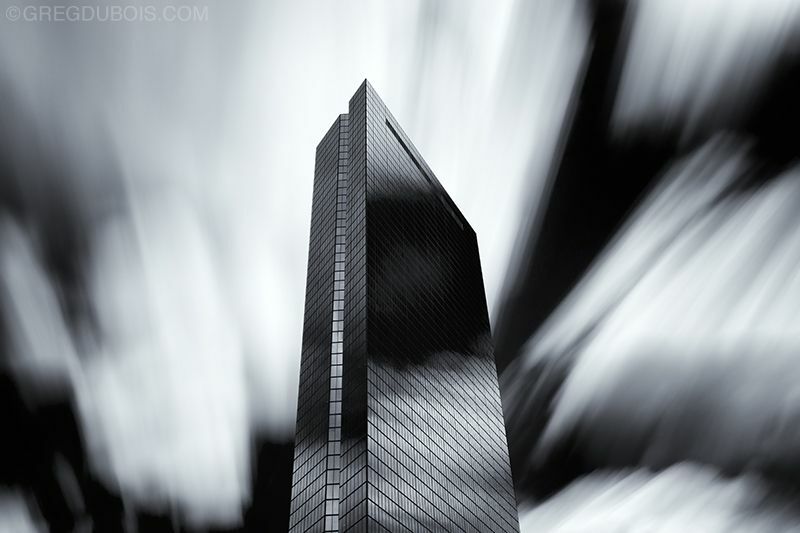 This 60 sec exposure of the John Hancock building in Boston below is a great example. It’s not just all about super long exposures either. It’s really about matching the right exposure length to the particular subject matter and conditions at hand to maximize the scene. The image below taken on the Charles River in Boston was achieved simply by combining calm conditions with a 3.2 exposure, just short enough to keep the dragon boats sharp, and utilizing only a 4-stop graduated ND filter to balance the sky and water in camera. This can be a really fun way to bring dynamic sense of motion to make a compelling image that both draws the viewer in and directs their eye through the composition. For maximum impact, combine static elements with multiple types of moving objects at contrasting speeds. 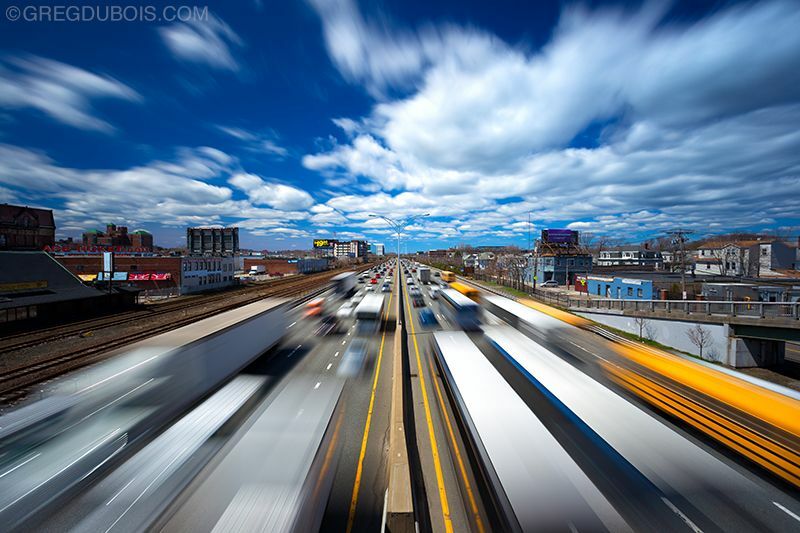 In the image below, I combined trucks and cars on the Mass Pike in Boston with clouds moving through the sky, but this could have been a combination of anything, so get creative. I used 2 exposure lengths to create this image. The sky was captured with a 90 sec exposure using a 10-stop filter and circular polarizer. The traffic was captured at 1/5 sec using a 6-stop filter and circular polarizer, and I took it one step further, I bracketed 15+ frames to fill the highway and maximize the effect of the moving vehicles. As you can imagine, with filter swap outs and the numerous frames it could take to create an image like this, a really sturdy tripod is crucial. Knowing how to blend layers in Photoshop is also necessary, but really easy to learn. Another point worth mentioning is that the wider the angle the more dramatic the movement, especially towards the edges of the frame. It takes a lot of discipline and patience to execute this technique, but the result can be totally worth it. What you get is the best of both worlds, night lights and great sunset or sunrise color. You have to be very decisive and really commit to your angle, because once you get the first half of your image you won’t be able to move your camera. 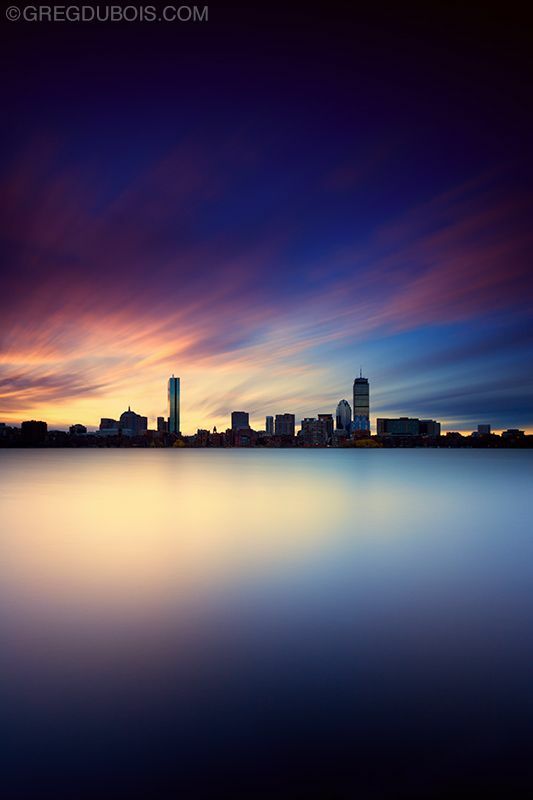 In the image below from East Boston, I combined a sunset with the night lights of the Boston skyline. The sunset was captured with a 200 sec exposure using a 10-stop ND filter in conjunction with 3-stop and 2-stop graduated ND filters. About 45 mins later, I captured the night lights of the skyline with a 30 sec exposure and no filters. I combined both exposures in Photoshop by overlaying the night image in “Lighten” mode” and masking it away to refine the areas overlaid with night lights. This technique isn’t just for cityscapes, it works well in natural landscapes incorporating stars of the night sky. A telephoto forces you to think and be selective. It’s about finding the perfect slice of any scene and truly controlling the composition of the image. I think a lot can be learned from shooting with a telephoto on a regular basis, and sometimes I find it difficult to go back to shooting wide with less creative freedom. Using a telephoto is truly a chance to capture the scene like no one else will, like my unique take of Ogunquit Beach Maine in the image below. I was able to compress all my favorite aspects of this location into one frame using a long focal distance. I also got lucky, a passing thunderstorm cleared out all the beachgoers just before sunset, so I was able to capture this natural scene as the tip of the beach became backfilled from a rising tide. 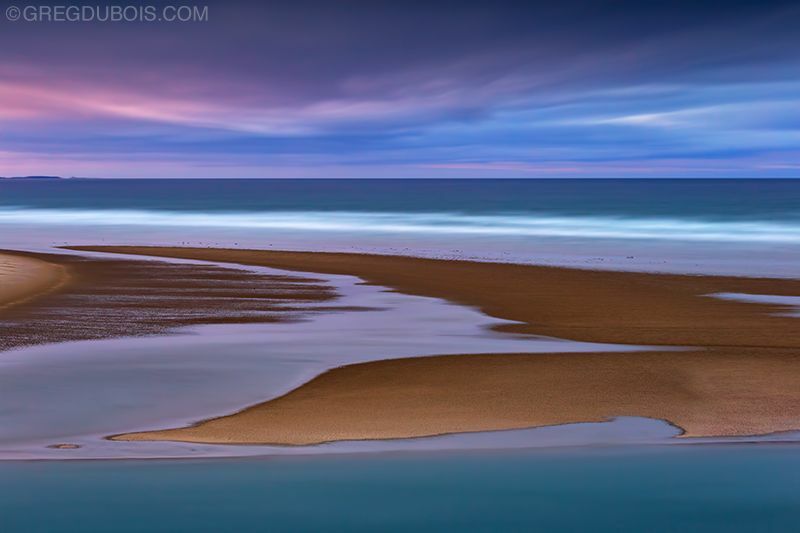 I wanted to smooth out the water to highlight the details in the beach sand and make the composition feel less busy, so I used a 10-stop ND filter to achieve a 120 sec exposure and a 3-stop graduated ND filter to retain the color and detail of the sky. Another obvious reason to shoot with a telephoto is inherent, to capture a scene you can’t reach with a wide angle lens. This changes the way you plan subjects and locations, and opens up an entirely different set of possibilities. 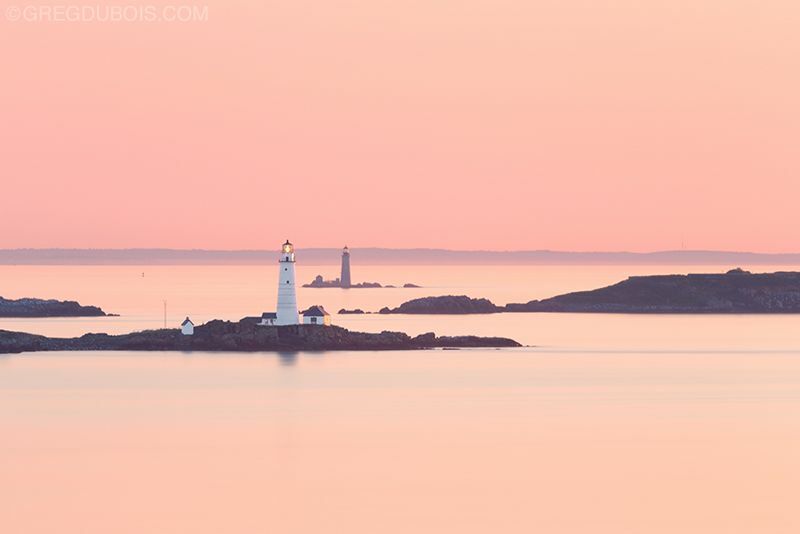 I paired a 400mm focal length with a 5 minute exposure to create the milky seascape of two lighthouses in Boston Harbor below. Sometimes less is more, and photography is no exception. More and more I like to create minimal images using a lot of the techniques we have already discussed. When you shoot with the purpose of creating a minimal image, you’ll find the whole process very intentional, and you can create very unique images out of spots photographed countless times before. This image I took of the Boston skyline over the Charles River from Cambridge is a great example. This stretch of the Charles River is a very popular destination for every photographer that both lives and travels to the city, so I took a minimal approach to create something I had never seen before. I essentially created a silhouette of the skyline to anchor two broad color fields, and I offset the skyline just enough to add tension to the composition. I achieved the color fields out of the water and sky with an extremely long exposure of 8 mins. I used two different graduated ND filters to control the spread of light throughout the frame and create drama. You don’t have to use ND filters to achieve a great minimal image either. 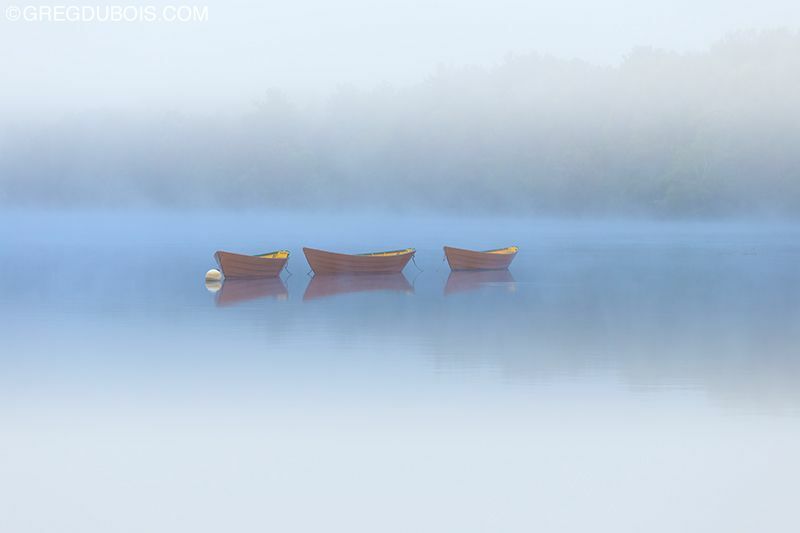 I used a telephoto on a really foggy morning to achieve this calming image of dory boats on the Merrimack River below.